Closed Loop Manufacturing supports your Product Lifecycle by creating information feedback loops, and connecting systems and departments within your organization to make your process more efficient and effective. 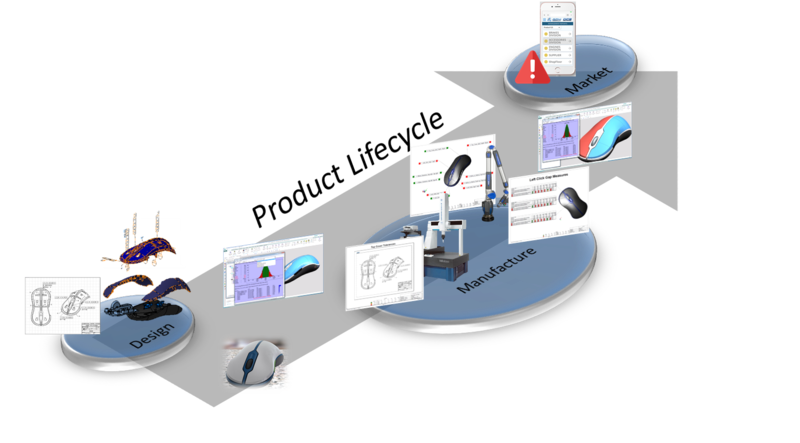 The Product Lifecycle shown focuses on a CAD driven process. Beginning with GD&T and CAD model development, the process continues into manufacturing with the creation of inspection plans, collection of inspection data and SPC reports from the collected information. 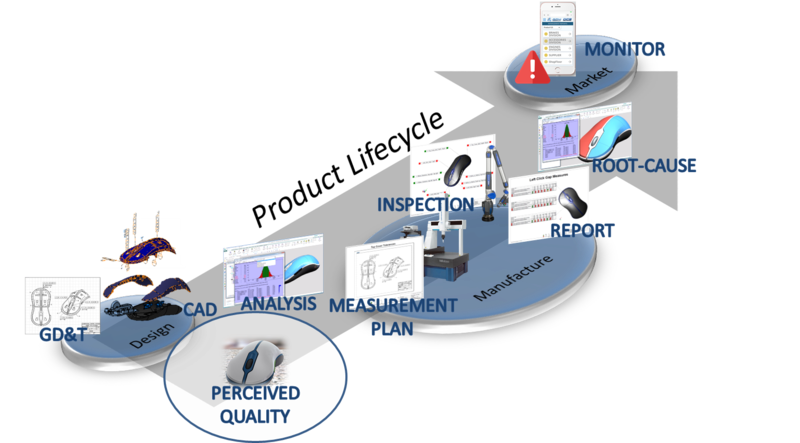 By using Spec Studies, Perceived Quality Studies in 3DCS, design specification limits can be decided based on the appearance of those tolerances on gap and flush conditions. These can be used during the CAD design as a starting specification limit that can then be refined by manufacturing engineering to create a set of specifications that are both sound engineering and will produce an attractive product that showcases its high quality production. Spec Studies can be used with any CAD system and 3DCS Variation Analyst, but they are especially useful in the 3DEXPERIENCE, where live-rendering combines with your Spec Studies to give you incredible images of your product with manufacturing variation or set gap and flush conditions.